What to do with the leftover Easter eggs we have in the pantry. Use them up in rice bubble slices! Tried two easy recipes and modified them to suit. The Traditional slice pictured first was made trying to smooth the chocolate over the top and is a little crumbly because it was hand mixed. 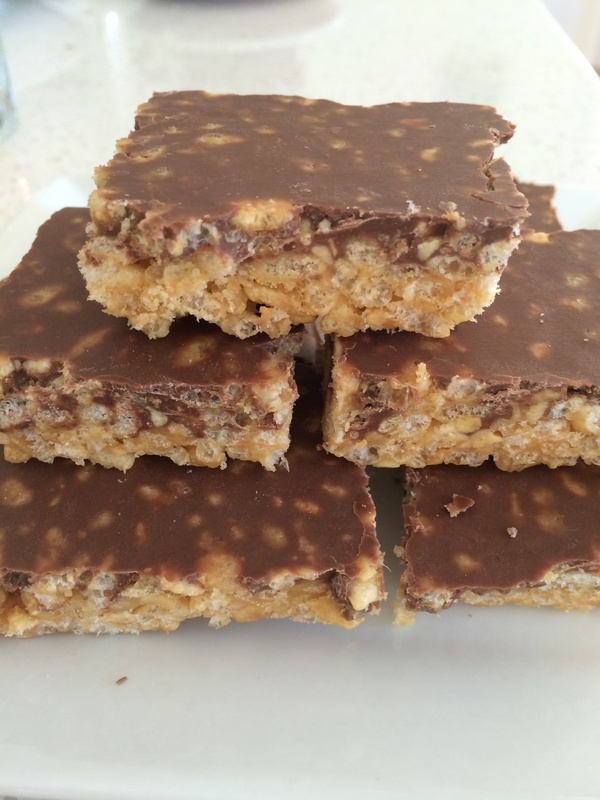 I’ve adjusted the recipe to follow the thermomix method used for the Peanut Butter slice. Melting chocolate first to put into the baking tin is much easier because it’s tricky to spread chocolate over unset rice bubbles. These recipes take 5 minutes to make with the thermomix and then pop straight into fridge to set. 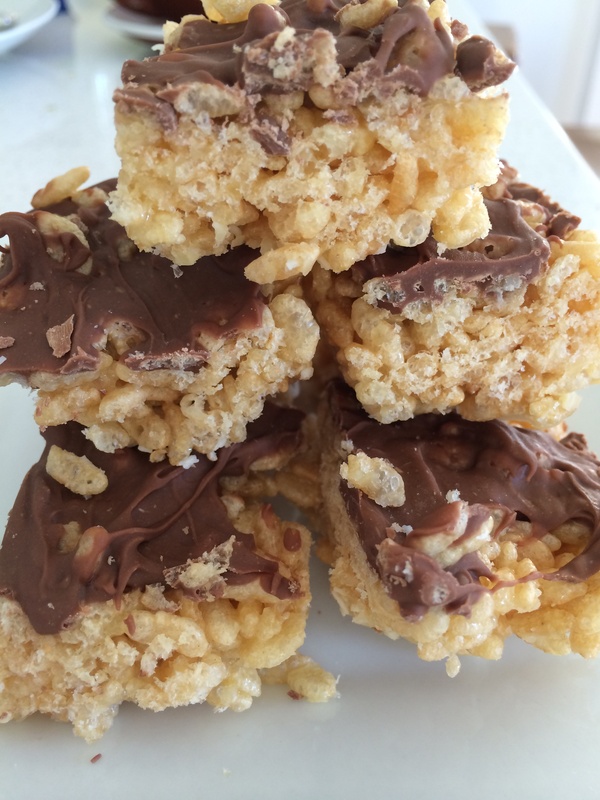 Break chocolate into pieces and melt in thermomix, 1.5 minutes, 70c, speed 3.5. Spread melted chocolate into the slice tin onto the baking paper. Add sugar and butter to TM bowl 5min Varoma temp. speed 2. Add the rice bubbles to the TM bowl and mix for 1 minute 20 seconds reverse speed 1. Pour the rice bubble mixture into slice tin on top of melted chocolate and use a metal spoon to spread across the tin and push down firmly. Place in refrigerator for an hour until set, then slice. Add syrup and peanut butter to TM bowl 5min Varoma temp. speed 2. Add the rice bubbles to the bowl and mix for 1 minute 20 seconds reverse speed 1. Pour the rice bubble mixture into the slice tin on top of the melted chocolate and use a metal spoon to spread across the tin and push down firmly. The kids raved about the Peanut Butter slice, said it tasted like Reese’s Peanut Butter cups. Put into freezer bags after they’ve set, ready for lunchboxes and treats during the week. Better than buying the supermarket ones and you can reduce sugar accordingly to your taste.